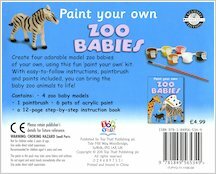 Your very own wild animal babies to take care of! 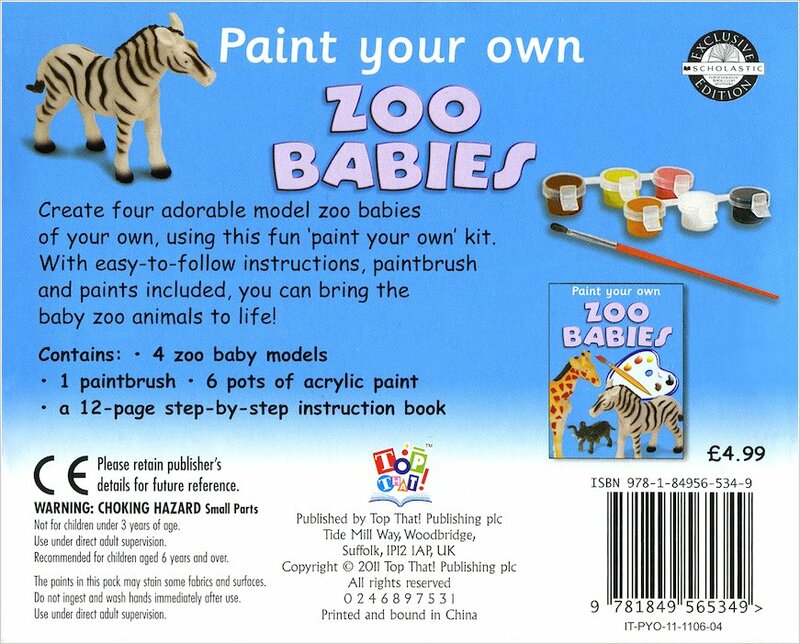 The cutest painting kit on the planet. (It’s melted all our hearts.) Four knock-kneed fuzzy babies born in the wild are looking for a brand new home with you. Will your favourite be the young giraffe, the cuddly lion cub or the playful little elephant? 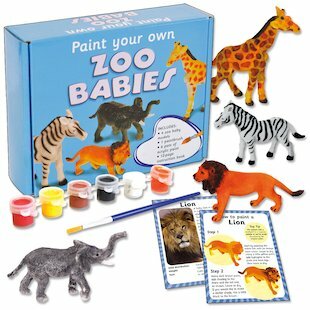 This kit has four adorable baby animals to paint, plus six paints, a brush and a booklet of fantastic facts. Just gorgeous.